When will be Big Train next episode air date? Is Big Train renewed or cancelled? Where to countdown Big Train air dates? Is Big Train worth watching? 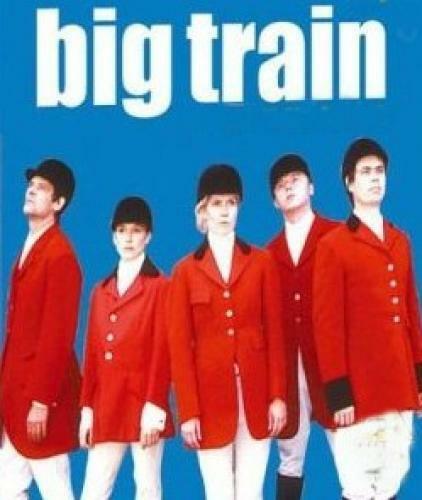 Big Train was a surreal British television comedy sketch show created by Arthur Mathews and Graham Linehan, writers of the successful sitcom Father Ted. Following in the tradition of Monty Python, the comedy of Big Train is based on the subversion of ordinary situations by the surreal or macabre. Its stars included Kevin Eldon, Mark Heap, and Simon Pegg in both series one and two, with Julia Davis, and Amelia Bullmore in the first series, and Rebecca Front, Tracy-Ann Oberman and Catherine Tate in the second series. Big Train next episode air date provides TVMaze for you. EpisoDate.com is your TV show guide to Countdown Big Train Episode Air Dates and to stay in touch with Big Train next episode Air Date and your others favorite TV Shows. Add the shows you like to a "Watchlist" and let the site take it from there.